I love any excuse for posting one of my water splash images, and St Patrick's Day seems like as good an excuse as any! I know I've been promising it for a long time, but now that I've got my website blog up and running, I plan on writing some articles explaining how I produce these types of water splash image! Honest! I know I've made more than a couple of false starts in the last 18 months, but I feel motivated enough to finish off what I've already written - so watch this space for more information! 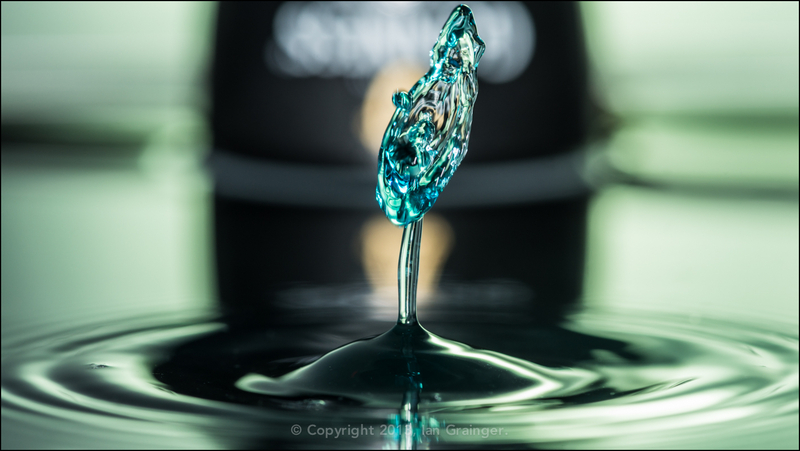 This particular shot is from a couple of years ago, but I remember quite clearly getting enormously frustrated as I tried to line up the water splash and the Guinness motif! It's hard enough getting water drops to collide, never mind trying to get an interesting backdrop for the collision! It all worked out rather well in the end though!